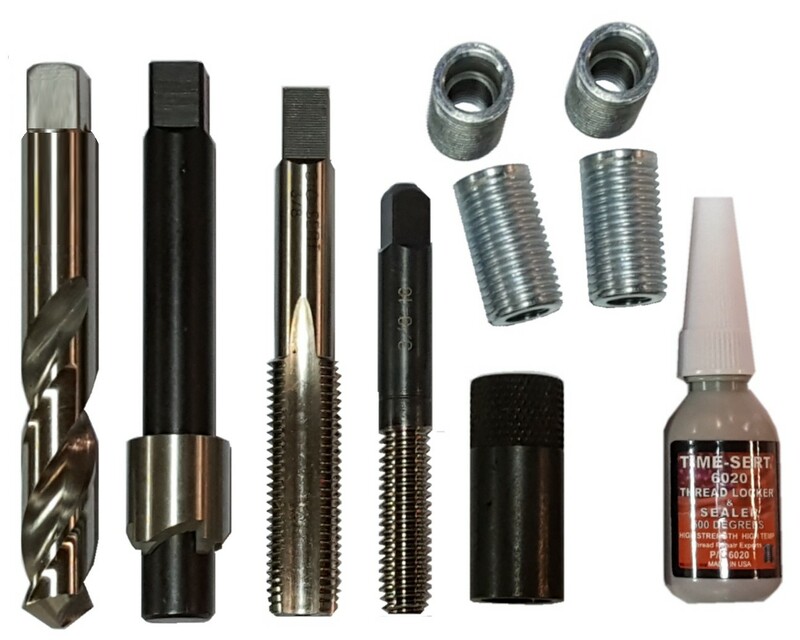 TIME-SERT MANUFACTURER KITS - GENERAL MOTORS northstar headbolt thread repair, cadillac northstar thread repair, cadillac northstar headbolt thread repair, GM headbolt thread repair, general motors cadillac head bolt thread repair. TIME-SERT® KITS HAVE BEEN TESTED AND APPROVED BY GENERAL MOTORS. There is no other company approved for these repairs in aluminum blocks. A good thread repair practice is to always verify the hole depths before drilling. 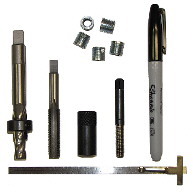 We recommend a " Tap Wrench " for tapping and driver tools. for all head bolt holes. to the first starting thread. In 2004 the NorthStar headbolt has changed to a M11x2.0 thread. 16 required for the entire block. If Needing oversized for PV6, we do not have a specific kit available. p/n 6604900. LINK: Universal Head bolt page. You must have the original kit. 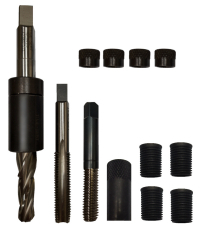 What is Included: Drill, Tap, Bushing, line pin, Inserts and dowels. 660J-42385-2000 tooling to finish repair. 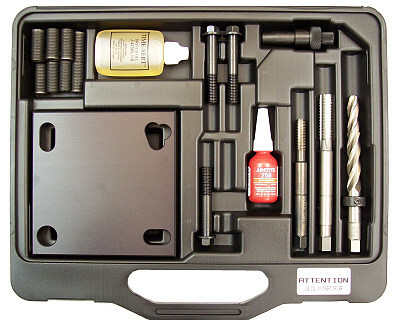 This kit will repair most GM aluminum drain pans. deeper than the standard kit. 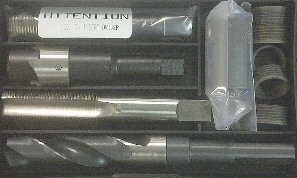 length insert to be installed deeper than the standard kit.